For making soup in jars, layer ingredients starting with Thrive Instant Pinto Beans and ending with Thrive Chopped Spinach. Add oxygen absorber and seal jar. When ready to use, bring 8 cups of water to a boil and add soup contents. Stir and reduce to simmer for 20 minutes. Divide the can into two pint-sized mason jars. Mix with chocolate chips. Add directions to the tag. On sale now for $6.79. 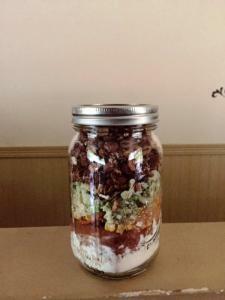 Combine Ingredients in a large mouth quart jar – placing powders in first. Empty contents into a pot with six cups of water. Bring to a boil and simmer for 20 minutes. I have many more suggestions. 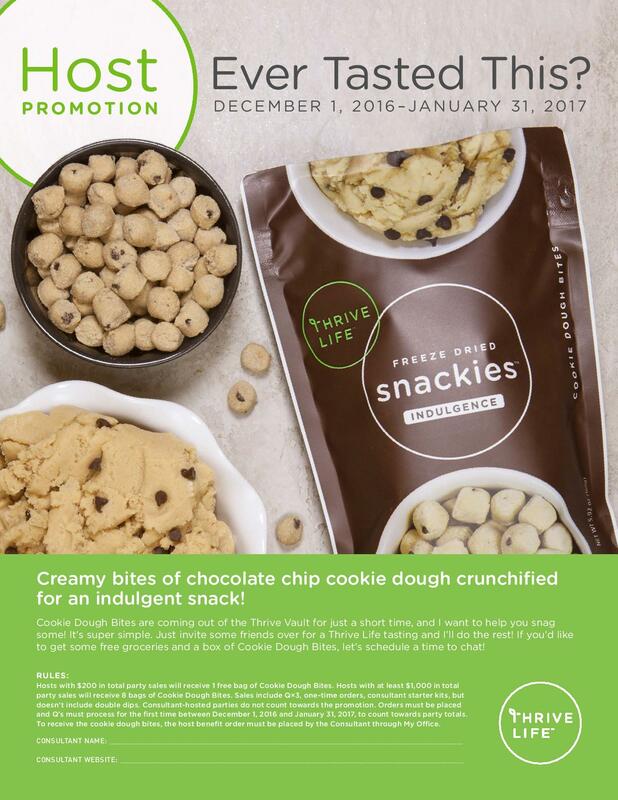 Call me if you would like help with placing your order today. (760) 366-0368 (landline). Are you receiving my newsletter? I love to share exclusives there! Sign up today before you miss out on something special. This Is Where You Get Them Call me if you’d like help placing your order. (760) 366-0368 (landline). No solicitations, please. 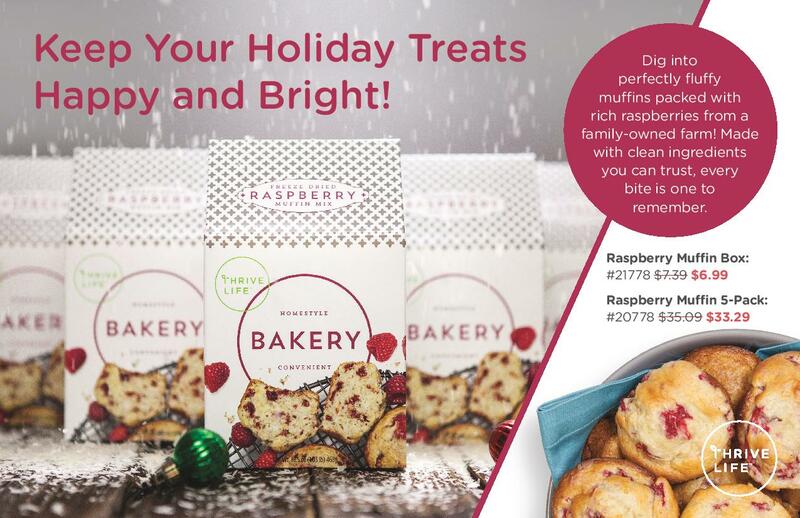 How do raspberry muffins fit into healthy eating? Well, there are a lot of raspberries in the mix, so that helps! Plus, these types of snacks do not make up the bulk of our intake.Basically, enjoy yourself with one of the best mixes there is when you want a muffin unless you have a specific restriction that will give you a bad reaction. In that case, check out our extensive grocery line so you can have a healthy, delicious option any time! If you’re in Joshua Tree ask me about splitting the shipping with other customers who prefer to pick their orders up from me. Did you know I have a newsletter where I love to share exclusives? Sign up is easy and takes moments. I’ve been asked this question several times in the last two weeks. It’s compelling to think about why a Holistic Health Consultant with eleven years in the business would choose to eat freeze-dried food. 1. 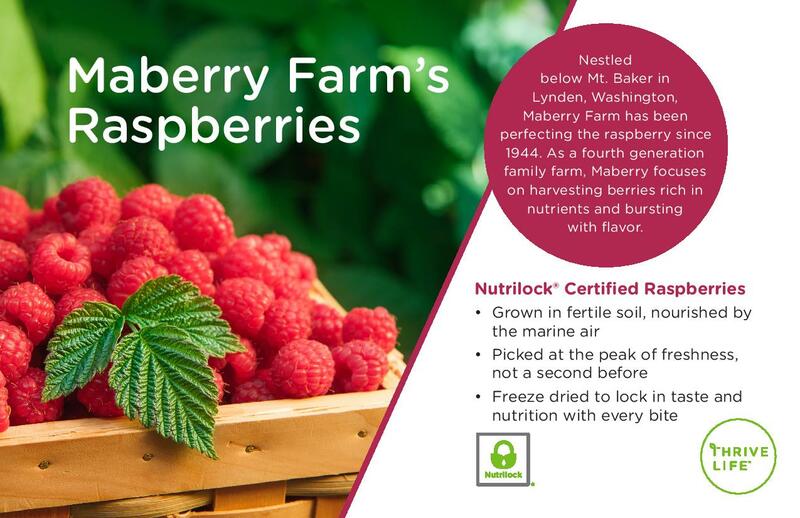 Superior nutrition due to picking the produce at the harvest peak, fast processing and flash freezing. There is a little known fact that when you are truly nourished, you eat less, making Thrive much more affordable than it appears to be if compared to lower quality produce that suffers from nutrient loss and leaves us feeling hungry soon after we eat it. 2. Keeping a variety of fruits and vegetables on hand at all times, including for emergency storage. 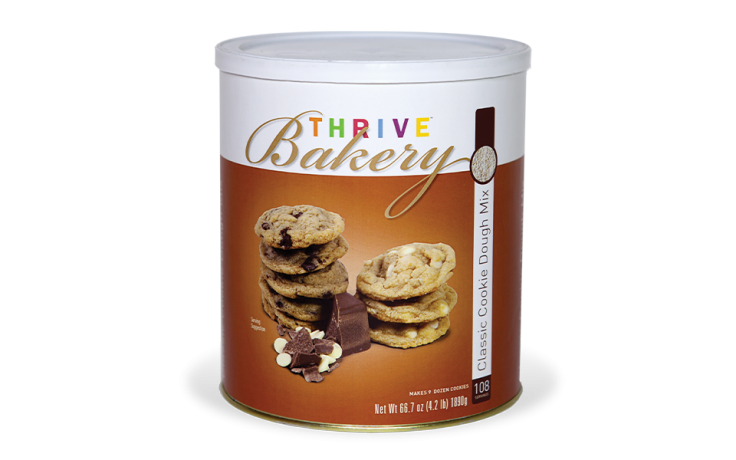 Since Thrive has a good shelf life after it’s opened, I can keep as many choices as I want in my pantry. 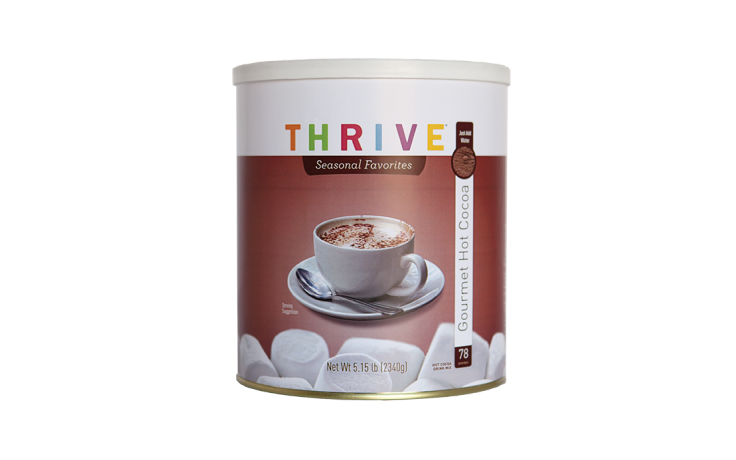 I’m eating a lot more fruits and vegetables than I was before Thrive. 3. I cured my 3:00 crash with Thrive. I used to have a slump between lunch and dinner that would send me to the kitchen for snacks to make it through the workday. 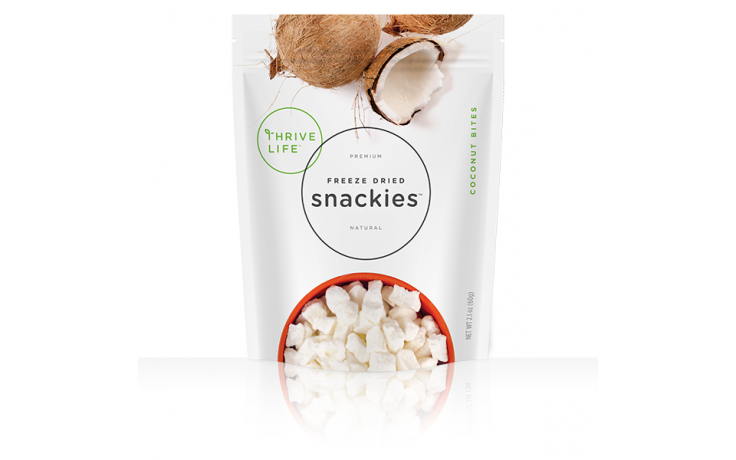 With Thrive, I don’t have the slump or need the snacks because I’m nourished. 4. Our foods are mostly free of GMOs. I want to promote heritage farming as much as I can, and I want to eat food that is not genetically modified. 5. No pesticides. This means so much to me, for my health, my family’s health and the health of our farmers and their employees. I’m glad they’re not being exposed to pesticides! Which one of these benefits would you like for yourself? We have several ways to party, like on Face book or through the mail. 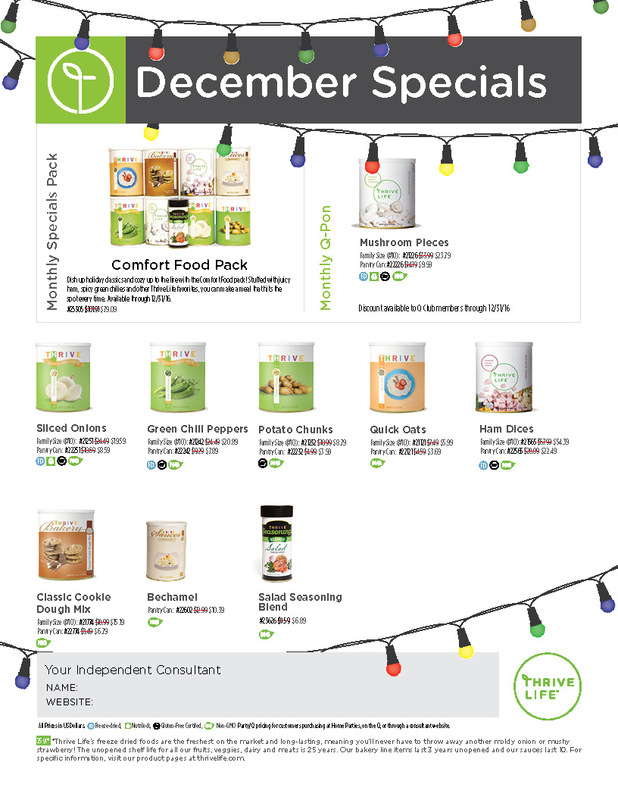 Dates I will place orders for December are: December 9th, December 12th, December 19th and December 26th. 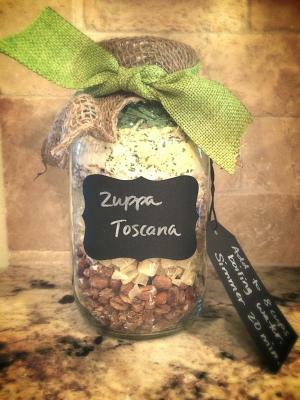 We will show you how to make giftable Meals in A Jar at our next tasting. December 8th at 7:00 p.m. in Joshua Tree. Call (760) 366-0368 for directions and to r.s.v.p. This is a land line. We will also have a Holiday Jar Meal Party on Facebook December 9th. You are welcome to bring guests to both parties and if they order you could earn party benefits! Did you know I have a newsletter? Sign up for it here to start receiving exclusives! There are a number of us who feel honored to help with distant Reiki requests. If you would like us to send Reiki to you, please leave a comment and we will gladly add you to our distant Reiki send. When requesting Reiki for others, please be sure to ask for their permission first. Permission is an important part of the effectiveness of Reiki. Without permission, we as practitioners have to add on that the Reiki can be accepted or rejected by the receiver and therefore our intention may not reach your loved one. Do you have any questions about distant Reiki? I’m happy to help! I hope you’re receiving my newsletter because I love sharing exclusives there! Sign up is easy and takes moments.